Domestic energy forms a significant part of total energy use in OECD countries, accounting for 22 % in the USA in 2011. Together with private travel, domestic energy reductions are one of the few ways that households can directly reduce their greenhouse gas emissions. Although domestic energy costs form a minor part of average household expenditure, the unit costs for domestic electricity and natural gas vary by a factor of 4 and 5, respectively, among OECD countries, and per capita use is strongly influenced by these costs. Other influences on domestic energy use are household income, household size, residence type (apartment/flat vs. detached house), and regional climate. Numerous campaigns have been carried out in various countries to reduce household energy use. A large literature has analyzed both the results of these studies and the general psychology of pro-environmental behavior, yet the findings often seem to conflict with the national statistical data. 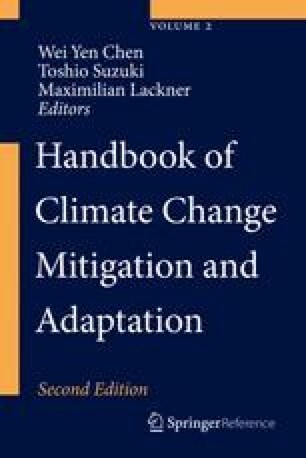 The authors argue that the rising frequency of extreme weather events (especially heat waves, storms, and floods), together with sea level rises, is likely to be a key factors in getting both the public and policy makers to treat global climate change as a matter of urgency. Costs of domestic energy are likely to rise in the future, possibly because of carbon taxes. But such taxes will need to be supplemented by other policies that not only encourage the use of more efficient energy-consuming appliances but also unambiguously support energy and emission reductions in all sectors.